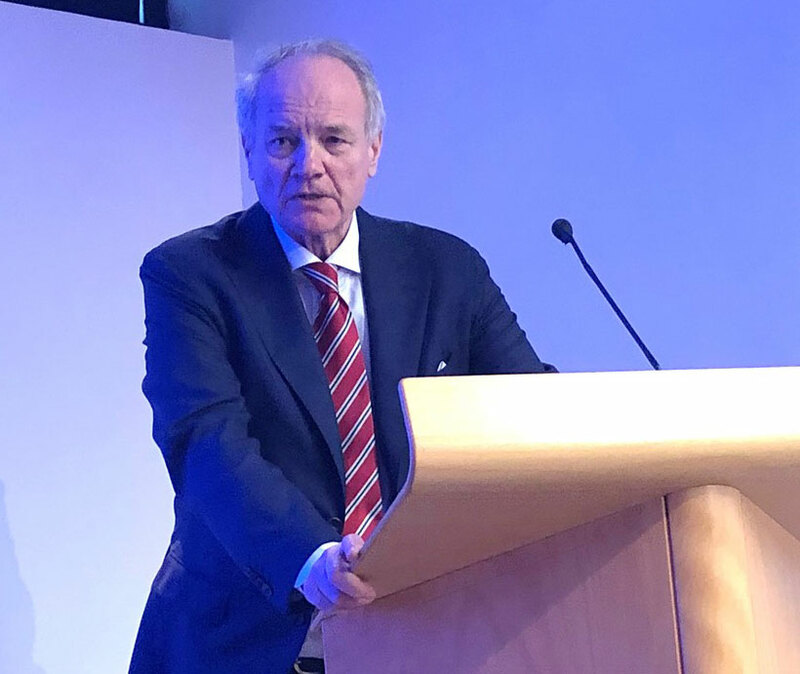 Cancer researchers from Institute for Cancer Research, Oslo, and Institut Curie, Paris, held a successful kick-off seminar in Paris on March 25th, followed by a reception with Norway’s ambassador in France. Thanks to a generous donation from Trond S. Paulsen, a new collaboration between ICR and Institut Curie, Paris, was opened. The funded project, “Mechanisms of cancer cell invasion” (InvaCell), is a collaboration between the groups of Harald Stenmark, ICR, and Philippe Chavrier, Institut Curie. The background for the joint project is that most cancer deaths are caused by metastases, and that new strategies are needed for treatment of metastatic tumours. InvaCell’s aim is to characterize cellular and molecular mechanisms involved in the early phase of metastasis, invasion of cancer cells through the extracellular matrix. This should identify new potential targets for anti-metastatic therapy. Because the two research groups have complementary expertise in cancer cell biology and assays of cell invasion, the stage should be set for a fruitful collaborative project, which has a planned duration of 4 years. 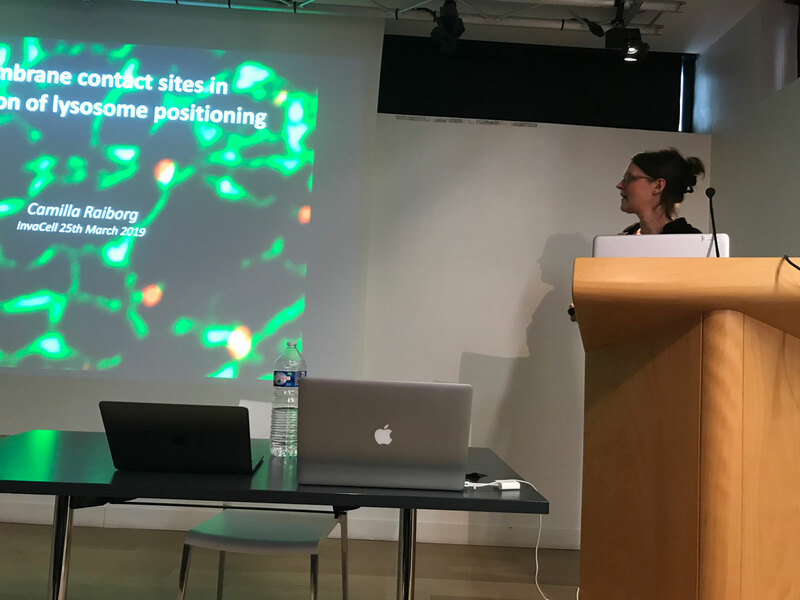 At the kick-off seminar at the Institut Curie, Harald Stenmark, Eva Wenzel and Camilla Raiborg presented projects from the Oslo InvaCell team, whereas Philippe Chavrier and Cecilia Colombero presented projects from the Paris InvaCell team. The Steering Committee of InvaCell met after the kick-off meeting. Director of ICR, Kjetil Taskén, is chairman of the committee, whereas the other members are Trond S. Paulsen (donator), Gunnar Sæter (Oslo University Hospital), Bruno Goud and Thierry Philip (Institut Curie), and Karl Erik Giercksky (Radium Hospital Foundation). At the Steering Committee meeting, InvaCell’s research plan and budget for 2019 were approved, as was the mandate for the Steering Committee. 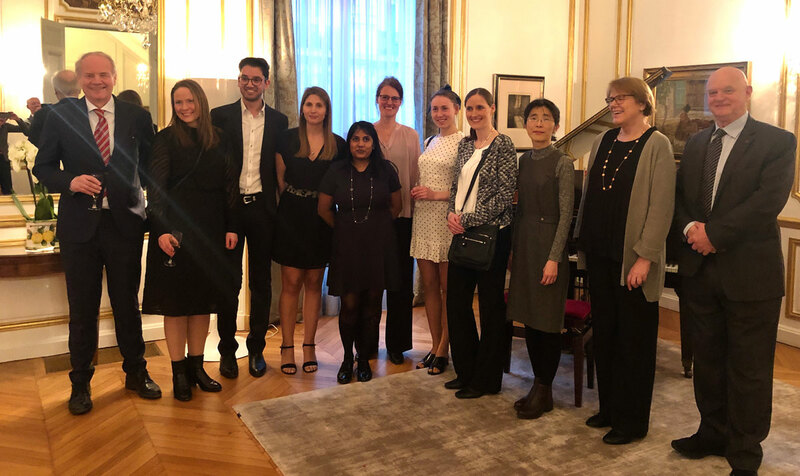 The kick-off seminar and steering group meeting were followed by a reception at the fashionable residence of Norway’s ambassador in France, Oda Helen Sletnes. At the reception, Harald Stenmark and Philippe Chavrier expressed their gratitude to donator Paulsen, and also to the Radium Hospital Foundation (represented by Jan Vincents Johannessen and Karl Erik Giercksky) for facilitating negotiations and contract handling. Next day, the two InvaCell teams met for further discussions and detailed planning of future collaborative efforts, which will include personnel and reagent exchange as well as biannual meetings in Oslo and Paris. The kick-off seminar and steering group meeting were followed by a reception at the fashionable residence of Norway’s ambassador in France, Oda Helen Sletnes. Donator Paulsen to the left, Jan Vincents Johannessen to the right, next to the ambassadour, and the two InvaCell teams in the middle. Camilla Raiborg presenting a project from the Oslo InvaCell team. Thanks to a generous donation from Trond S. Paulsen, a new collaboration between ICR and Institut Curie, Paris, was opened.